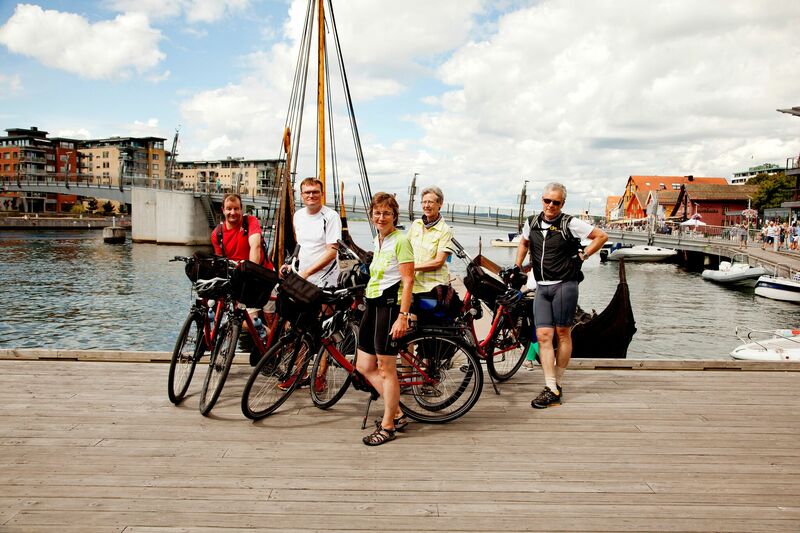 This bicycle tour in Norway will take you around the fjord leading up to Oslo, the capital of Norway. A fjord is formed when a glacier retreats, carving a U-shaped valley, with steep outcrops on either side, which the sea then fills, creating inlets.The city curves around the innermost shore of the fjord, that extends 100 km from Skagerrak, the choppy channel separating Norway and Sweden from Denmark. Though the coast of this particular fjord is not as steep and dramatic as many, it does provide a gentle landscape for cycling. Scores of pretty little islets diversify the seascape with idyllic archipelagos and lovely beaches. You will discover for yourself the hidden charm of the harbor villages dotting the terrain. Åsgårdstrand: small idyllic town. Edvard Munch`s summer house. Drøbak: popular sea-side tourist spot. Crossing of the Oslo Fjord between Strømstad and Fredrikstad with the small passanger ferry; passing through beautiful islands. From the airport, arrival to Drammen is quite easy! There are two train lines connecting the airport to Drammen. Travel time is approx. one hour. Price per ticket is approximately 270 NOK. Senior discount (over the age of 67) is 50%. Price per ticket is approximately 227 NOK. Senior discount (over the age of 67) is 50%. You hotel in Oslo is located only a few minutes walk from Oslo Central Station. From the Station to Oslo Airport Gardermoen (OSL) take one of the two connecting train lines, Flytoget or NSB local train. Please check local conditions before your arrival. A good website to explore regional weather, including average high/low temperatures, average rainfall and more is weatherbase.com. Regarding luggage transfer, restrictions do apply. Generally, one bag is permitted, however, if you will have two bags, please let us know at time of booking and also inform our representative at your welcome meeting. Another option, if large bags are unavoidable, is to leave a portion of your luggage at the hotel in Oslo as you pass through to tour start location. Just let us know. We can find a good solution. In Norway, the currency is the Norwegian Krone (NOK). 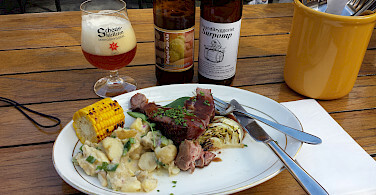 For your one day in Sweden, the Swedish Krona (SEK) is the currency, but because of the proximity to Norway many shops and restaurants usually accept Norwegian currency. Before you travel, please check your country's passport and visa requirements and the passport and visa requirements of the country/countries you plan to visit. For US citizens, the US Department of State website is a good source of information. The Country Information tab in the International Travel section provides details about passport validity, blank passport pages required, etc. For our our Canadian clients, please visit Canadian Travel and Tourism information, Australian clients: Australian Department of Foreign Affairs and Trade, and for those from New Zealand: New Zealand Safe Travel. For boat trips on Day 4, from Sandefjord to Strömstad in Sweden (2 h 30 min), and another one from Strömstad to Fredrikstad (2 hours), you will need a valid passport or national identity card to board these ferries. This is a self guided tour that is rated moderate because of some uphills and a relatively curvy landscape on some stretches. 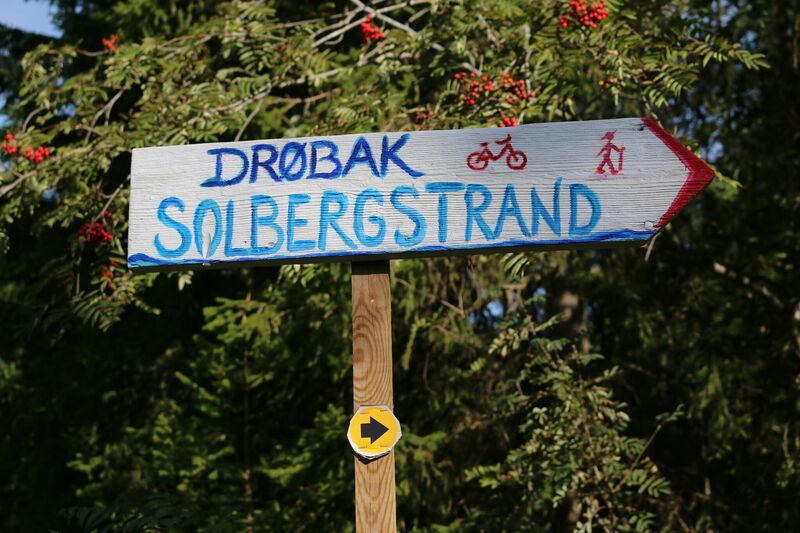 Day 6 (Moss/Son-Drøbak)is the most challenging. You will also encounter some uphill on day 2 (Drammen-Horten),otherwise the tour is relatively flat and easy. You will bike on a combination of separate bicycle paths parallel to roads and some country (normally) low traffic roads, mostly with asphalt, and only a few km on graveled roads. There are only a few kilometers on roads utilized by car traffic. On some stages, taking the train will allow you to reach the next hotel without biking. Details will be provided in your route book. Norway does not use a star system to rate its hotels. Two levels of accommodations are offered for this tour. We can send you a sample hotel list upon request. Do note that final accommodation list will be based on availability. It is possible to book extra nights before or after you tour, in Drammen and Oslo, but not during the tour itinerary. For rates, please see pricing. 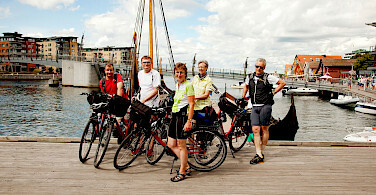 Day 7: Departure from Oslo or extend your stay! 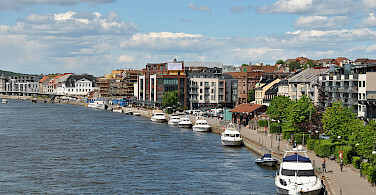 Drammen, the "river city" is located 50 km west of Oslo. 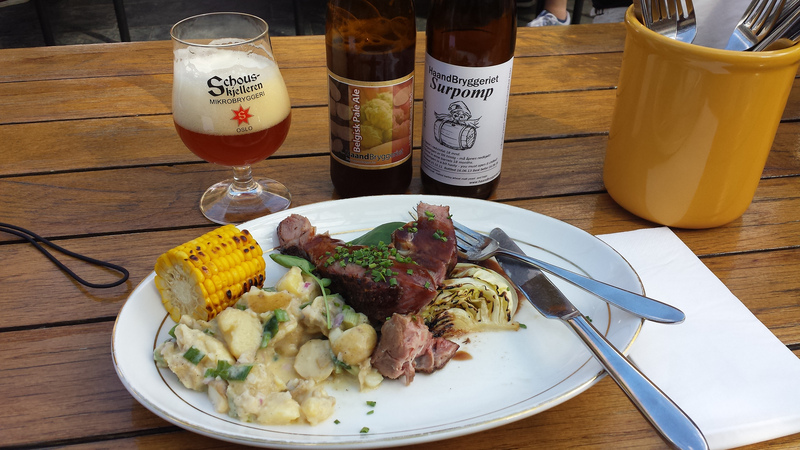 It is easy to reach by train (1 hour) from Oslo Airport. You may take the Airport Express train or a local train as they are both direct. A welcome meeting is scheduled in the morning at the Comfort Hotel Union Brygge (even if you are staying at the Scandic Park hotel). Our local partner will meet you in the reception area at 08:30 am to provide you practical information about the tour before taking you to the bike delivery place. Please be sure to carefully examine your bike rental (including quality of tires) and do take a test ride, putting the bikes through every gear. Be sure that all accessories are included and repair kit is complete. 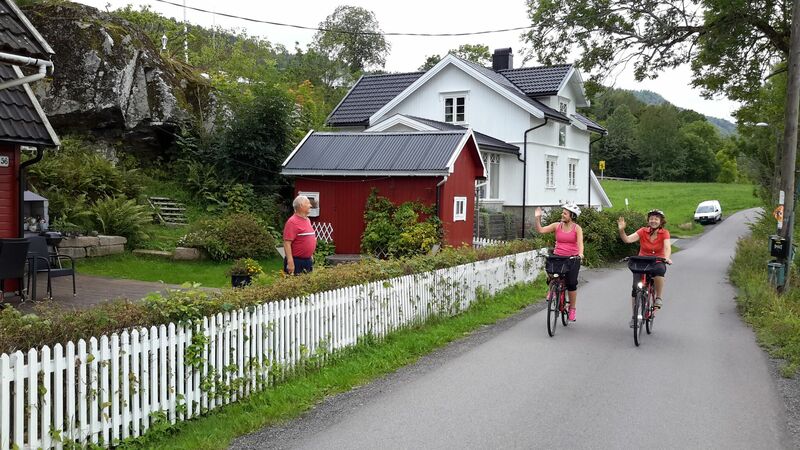 Your first cycling day will start with a slightly uphill route, through farm fields via Sandefjord to Holmestrand in time for lunch. 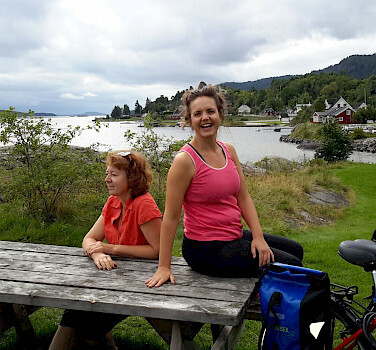 After which, you spend the afternoon cycling country roads to Horten, located out on a peninsula along the Oslofjord. This town used to be a navy base and you can visit the fortified naval museum, Karljohansvern. Your hotel this evening is close to the harbor. 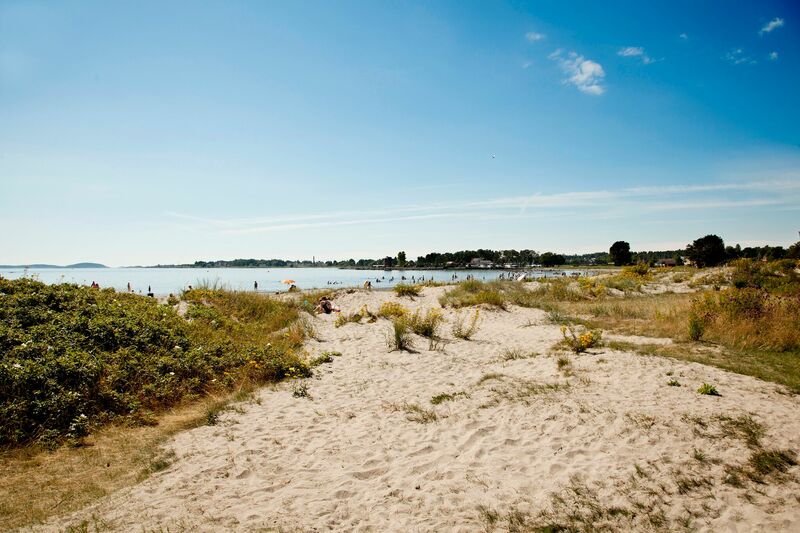 Via a dedicated bicycle lane, the route follows the coast to the small town of Åsgårdstrand. The painter Edvard Munch spent many summers here and you can visit his small wooden house which is now a museum. Continuing on, the next stop is Tønsberg, known to be the oldest town in Norway, founded in the Viking ages. The world renowned Oseberg ship found just north of Tønsberg bears proof of the town's age and origin. During its glory days, it was a center of commercial and shipping power and an important whaling town. Many Viking kings and queens are purportedly buried here with their ships and you have the chance to visit a shipyard that specializes in making reproductions of these ships with old tools. 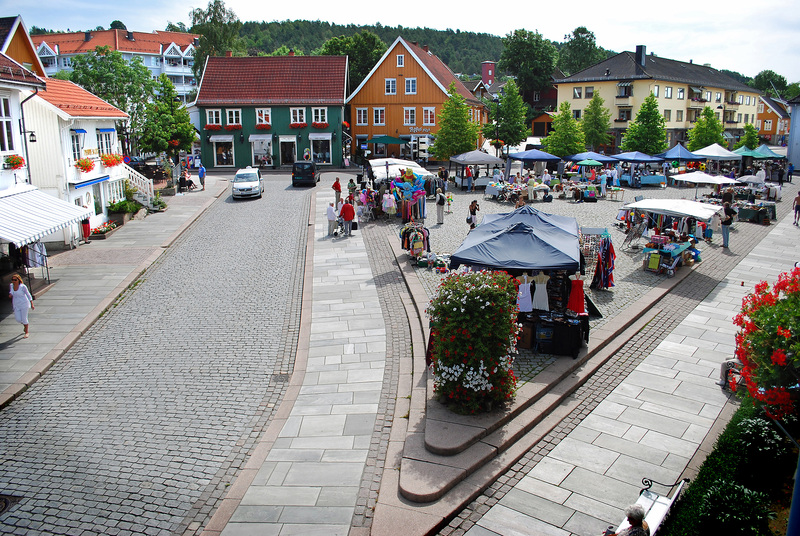 In the afternoon, your itinerary continues, through a landscape of farms and agriculture to the town of Sandefjord. The day begins with an early morning departure (8:30 am) on a car ferry from Sandefjord to Strömstad in Sweden, on the east side of the Oslo Fjord. The crossing takes 2.5 hours. You are requested to be at the terminal one hour before departure. 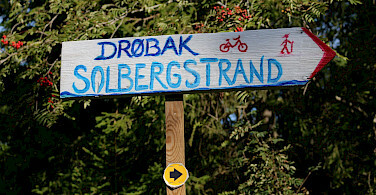 Arriving in Strömstad, a 15 km loop on the backroads north of the town, is on the agenda. 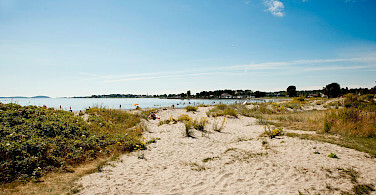 There are lovely sandy beaches that provide opportunities for swimming. 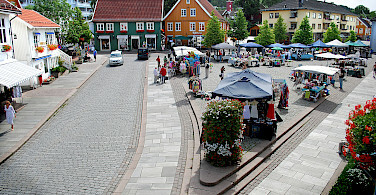 The small town of Strömstadm with it ornate wooden buildings is known for being a harbor for shrimp fishing and has a nice downtown area with many restaurants and shops. In the afternoon, onboard the passenger ferry Sagasund, via many islands, you will return to Norway and to the town of Fredrikstad in 2 hours via the ferry which departs at 2:50 pm. Please be sure to be on time since there is only one departure daily. 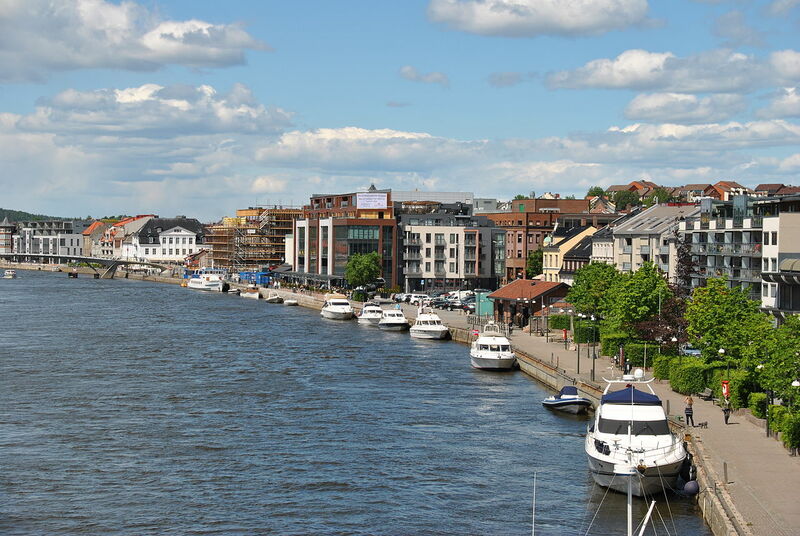 On arrival in Fredrikstad, you can either follow the route description straight to your hotel or take the free ferry (“Gamlebyferga”) to visit the quaint old town, situated along the river Glomma. This ferry departs from the same harbor as where you come in, and goes back and forth day and night every 15 minutes. The crossing takes about 1 min. The bike route today will leads north on a coastal route, passing the island of Hankø. 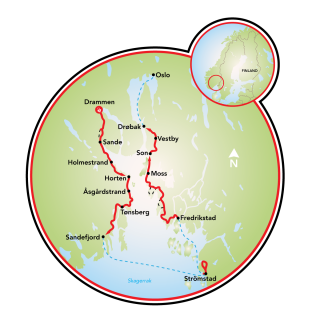 After a few hours, you can choose a longer, but more scenic, route along the fjord or a shorter route, inland. The town of Moss is your final destination. The town and its surroundings boast the most beaches in the whole county.The old wood and paper industry has been replaced by cafés and art galleries. Our hotel for the night is either in Moss(Cat. B) or in Son (Cat. A), a nice little harbour village 10 km further. Leaving Son you will have a choice between two different routes on country roads through rural areas. On the first choice, you pass the village Hølen, and you continue along a bicycle lane to Vestby, a rural commercial center. The other choice is hillier and brings you to the village of Hvitsten. 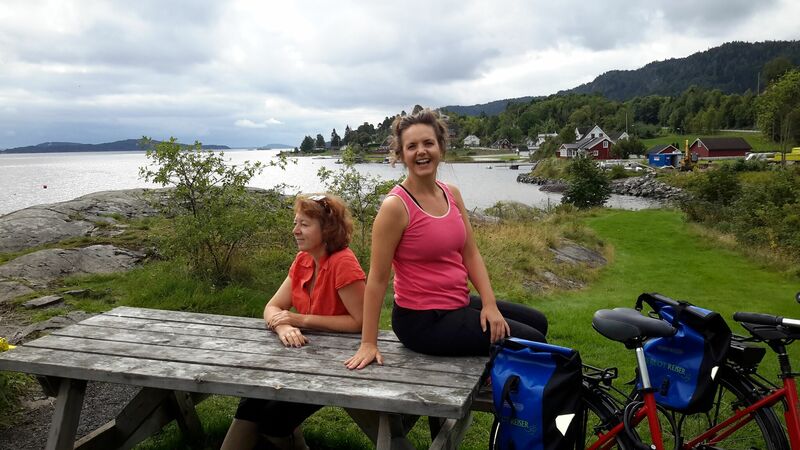 The bicycle tour ends in Drøbak, a lovely little seaside town where the fjord is at its most narrow. Here you may visit the aquarium or go to check out Norway’s biggest center for Christmas celebrations. You will leave your bike here in Drøbak, and then take a regular boat or bus back to Oslo. You will find further instructions in your toure information such as boat and bus timetables. The bus leaves from Drøbak torg (Drøbak quare). 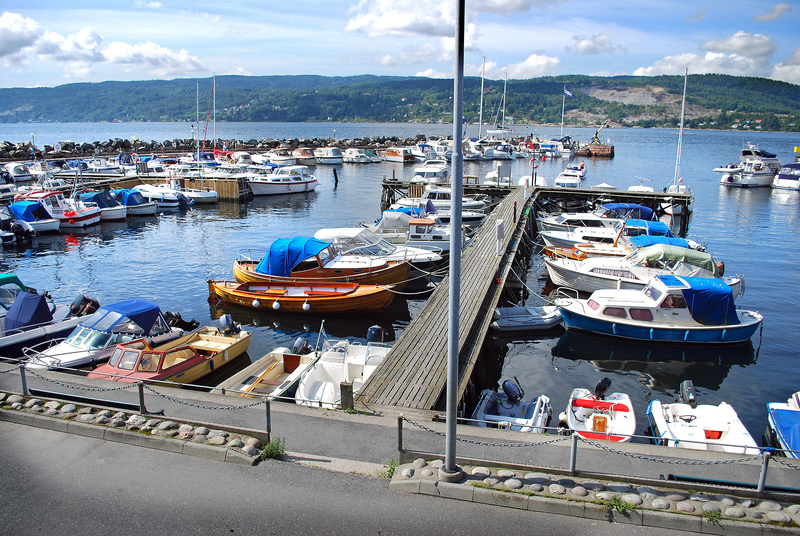 If you prefer to take the boat from Drøbak to Oslo, you will find this boat at Sjøtorget close to (a little south of) the marina and the Tourist Information Office, please look it up in your map book. Please use the ticket you received in your information pack. The boat to Oslo city center/Aker Brygge takes around 1 h 30 min. Your hotel is located about 10 min walk from the Aker Brygge harbour. The bus to Oslo city center/ Oslo Bus Terminal takes around 1 hour The Oslo Bus Terminal is situated right next to the Oslo Central Station (Oslo S), and your hotel is located within a few minutes walk from the terminal. This tour is run by Merlot Reiser. The tour itinerary was very well coordinated. Very easy to follow the routes. Would like similar tours in the Northern part of Norway eg, Lofoten Islands.